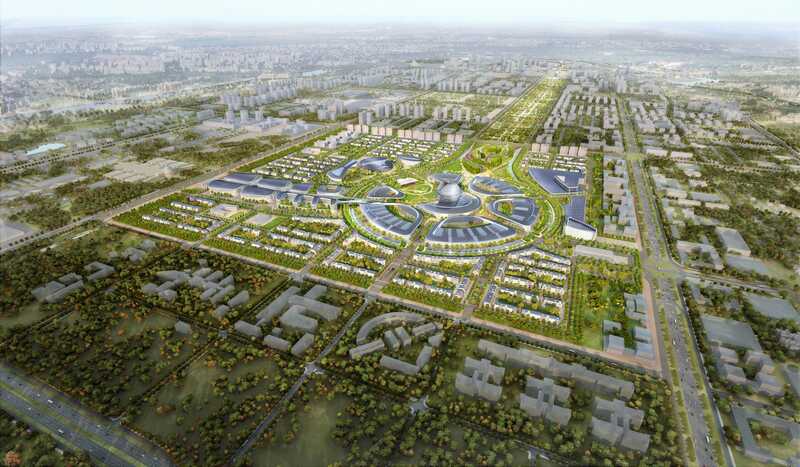 A futuristic city incorporating renewable forms of energy has broken ground in Astana, Kazakhstan. The futuristic city is estimated to cost Kazakhstan $3 billion to $5 billion. 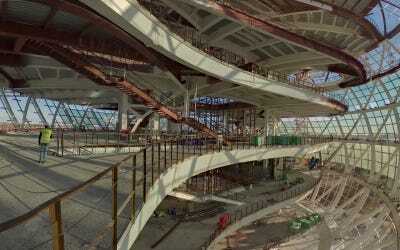 It's being designed by Adrian Smith and Gordon Gill Architecture. The capital city of Astana is known for having futuristic buildings, like the Khan Shatyr, a shopping mall that doubles as the world's largest tent. It is the second coldest capital city in the world, with temperatures dropping to minus 40 degrees Fahrenheit in the winter. 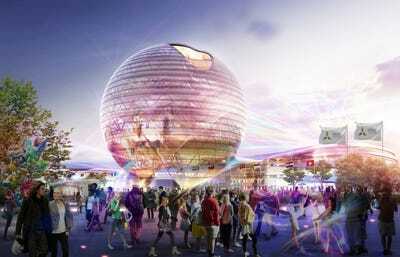 The city will be constructed over 429 acres, with the main attraction being the sphere-shaped Kazakhstan Pavilion. The building will incorporate high-performance glazing that will maximise solar heat gain in winter while providing shading in summer. 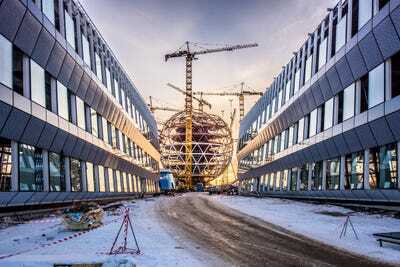 There will be 28 additional buildings extending outward from that central sphere, which include a science center, 1,000-seat theatre, hotels, offices, and residential buildings. Solar panels will be integrated in every building, with a few getting solar windows. 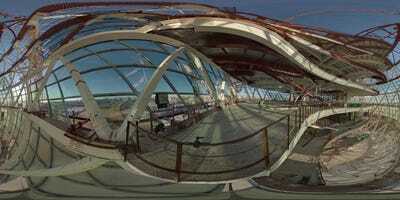 There will also be wind turbines in some buildings as well as in the parks. All of the buildings are connected via a smart grid so each building plays a role in powering the entire city. All together, the entire city is between 30% to 40% efficient on renewable energy, but some buildings have 75% efficiency, Gordon Gill, the design partner behind the project, told Tech Insider. 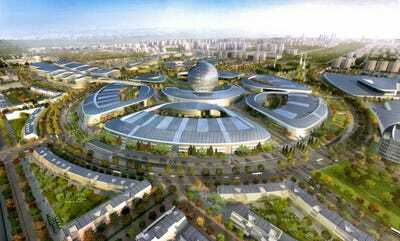 Although the city is being built for the World Expo, the architecture firm behind the project designed it to integrate with Astana in a way so that people can work, live, and shop there. 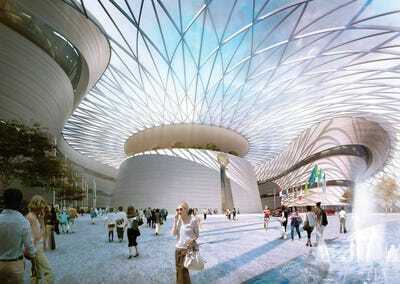 The firm thought of other little details to make it a thriving city after the Expo. Gill said the firm proposed having snow dumped in mountains in a local park so kids can go sledding on it. 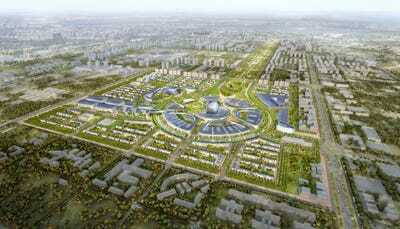 It will then melt into reclamation ponds so the water can be reused. 'So instead of letting (the snow) go to waste somewhere else, use it, and when it melts we will handle it with retention ponds and reuse the water in the park system,' Gill explained. 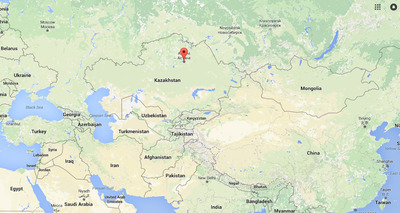 The city also has access to a nearby hospital, airport, and university in Astana. The architecture firm planned a bus route to go into the new city, and left the groundwork to build a light rail later on if Astana so desires.